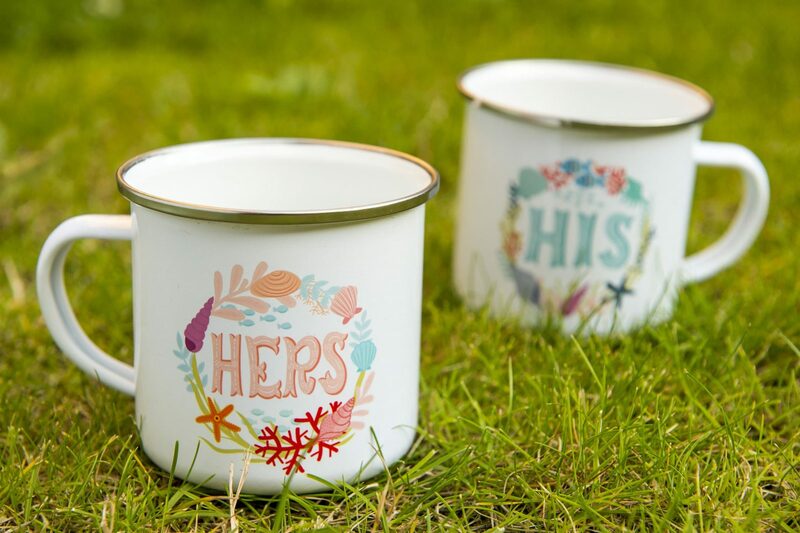 This beautiful illustrated and hand-lettered enamel mug is a perfect gift for a special couple. 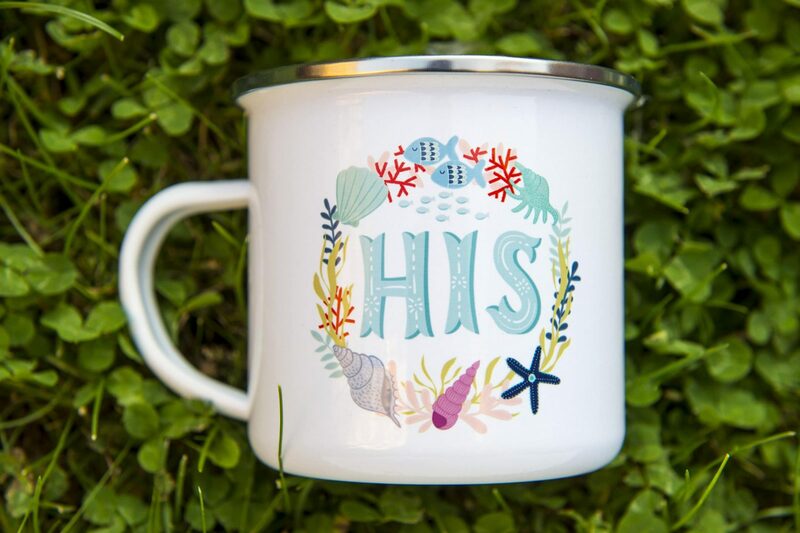 The mug illustrations were inspired by the beautiful ocean and the mug itself is made from high quality enamel. The print has a special retro and vintage texture feeling to it. This pair of mugs is a must have items for you if you like vintage and retro things. I normally post the order 1-2 days but just incase you order this product during a weekend or bank holiday, I’ve listed turnaround as 3-5 working days. But if you have any special requirements for this product please message me.